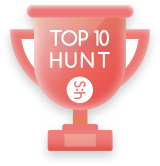 Yesterday, there were 186 products, and $537.79 SBD hunter’s rewards were generated. One question, I can do the advertising post in Spanish. or it is mandatory that they must be in English. I really appreciate your answers. I have a doubt this product from where should I get it? of internete? Should I have a description with my product words? that tecnology looks really awesome! !